Thank you, JD, for sharing this. And, I happen to totally agree with you about the accuracy of what this last scene depicted. Also from what I've read, Jan was invited onstage a couple of times to a welcoming reception...including when he and Dean did sing live with Papa Doo Run Run in June of 1976. So...this shows us how Phase Two was beginning. PS Your father sounds very neat. Mary I dont think that was Dean. But it's not a good shot . You don't think this is Dean, 2Dean? Hmmmm...i felt so sure it was! I didn't catch it at first...but when i really look....it sure seems it is to me. But I do want MANY opinions on that, because if I'm wrong...i want to take off the "Dean seen here" thing i added. Guess we will have to try to ask him, if the consensus is that it's not. ....here...I'll take a "shot" and maybe that'll help....it was that chin and dimple..that really told me this thought. But maybe another "twin" type thing....like in the movie with the look alike Bruce. You know Mary now that I see a better still of it I think it could be Dean. I'l change my vote to yes . But, yeah...mostly I think it is...someday...Lord willing...there'll be a chance to ask him. PS....I even added " ? ? ? ? " on the video where i say "Dean seen here" ...wish i would have thought to write: "Dean" scene here....on it originally. That'd be cuter. .... if I would've bought a tape of this I would've been sorely disapointed. It seems they have no director . Very poor performence . And it takes a good director to say "Ok let's do another take" Now I get J&D humor but when Jan say's something like how did you arrive . and Dean has that reaction I think some people would take it as he was mad at Jan. Also using the "Actors" in the videos was in my opinion a mistake. I'm not sure if this was relesed back then But I think it could've hurt bookings if it was. Just my opinion . I have a different "take". My opinion is that they give very "GOOD" performances. In fact...i LOVE their performances! !...and if I would have bought this tape...or had gotten the opportunity to view it, I would have been finding out where in the world could i go see the REAL Jan & Dean!! In fact...this is EXACTLY what did happen!! It was that summer of 1994...near the end, that I saw "Deadman's Curve" on video. And that same video rental had THIS video. I went to ALL efforts to find out where they are still performing...as I realized that this had been filmed in 1984 and it was now 10 years later! Well...Mrs. Torrence...Dean's mom was listed in the California telephone directory...and operator found and gave me the number. It was actually listed under "Dean Torrence". They performed at our Wisconsin's Noah's Ark every year for the past several years and I did NOT even know it!! 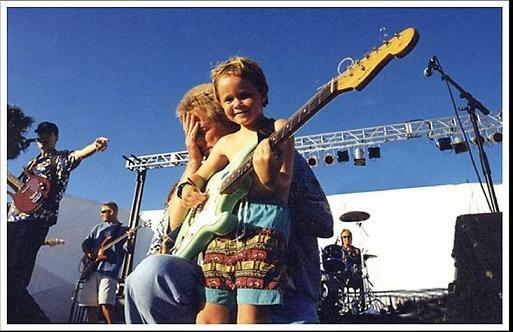 But!, they were STILL performing in 1994, as well. You say that you know J & D humor....but if you do, maybe you are mostly thinking of the Phase One humor. Their humor was a bit altered in Phase Two. Some seemed the same...but it took me a while to get used to what i witnessed at concerts and stuff. I do understand about what you point out in your quote here...but if you saw these two in action ...you would see this kind of "response" Dean gave towards Jan is quite the part he took. One time, early on when i was first experiencing this...i was concerned if this type of Dean stuff was "okay" with Jan. I asked him. He liked it! As for them using actors...do you mean in the music video sections? What else would they do for all those songs?! This was the perfect way for them to do it, I think. I love the way Jan begins some of the songs!...and the way they give each other "five"!! I LOVE the WHOLE thing!!! That's why I put this together in this way on Youtube! They look great!!! And how'd you like the way i merged their 1960's "sitting by each other" with their shot from 1978?...you like that?...at the end of this, I mean? 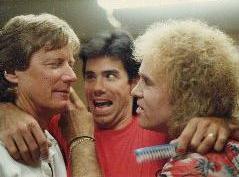 If Jan & Dean wouldv've been in the vids maybe they could've gotten play on MTV ! After I read they were shotting a Lilttle ol Lady vid I watched MTV a "POOPLOAD" more than I would've. And worried I missed it while out floating around the Paciic on the USS Kitty Hawk [CV -64] As this was to happen the summer of 84. By the way showing of the humor in DMC wouldve been really cool if they wouldve sung a song did some stage antics then another song as opposed to just showing a song here snd their and having them cut up with wolfman Which was good not complaining. But even I had to go wait was Dean kidding or did Jan just mess up another take. I believe it was J&D humor. Do you know how long it's taken me to realize what L&H meant? (duh!!) Laurel and Hardy!!! ...but anyway...YES! that's it!! Here's some more of that sweet humor. (Phase Two type...) (the audio and video DO NOT match - except in spirit!! 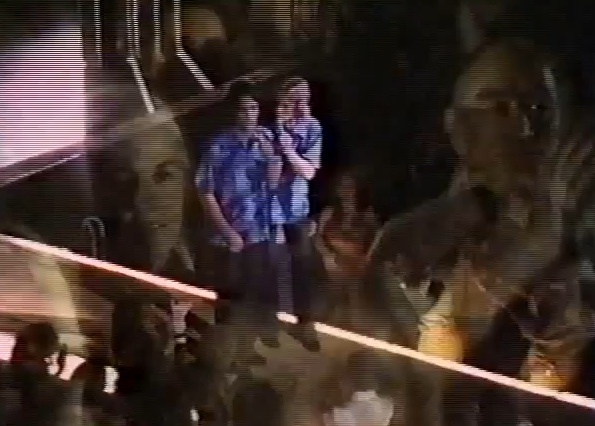 I have always wanted to share this video footage...but i know how edgy some "suits" (i think that'd be the "they") get when Jan & Dean's original audio is used on videos.....(perhaps that'S even why Dean chose to use all the revisions of the songs on "Surfing Beach Party") When they appeared on this talk show, they lip synched to their original songs. So...when it turned 7-11-11 this year...it came to mind to take their "sweet" song BRAND NEW in Phase Two (around 1986) (at least that's the year "Port to Paradise" came out with it on it!!)... "Just One of Those Days" and combine it visually with this so-cute video of them performing around 1979 or 1980 at a local talk type show. "....But she does seem lost without her fancy wheels, until Dean beams down in an antique Rolls, and Blondie joins him. They both beam up, and it is great to see the Dino in the video. Jan, where are you?" This is really such a treasure (just as each Sunshine Music issue was/is). Doc (Michael Kelly, M.A., Ph.D) is laying out for us in his section "Short Cuts", descriptions of both "Jan & Dean Silver Summer Anniversary Album"
as well as, what he calls "Even bigger news then the 25th Album - the JAN & DEAN VIDEO TAPE." And he extensively describes the video. PS This has all been given the treasured " OK " from Doc Rock himself!! Now I get J&D humor but when Jan say's something like how did you arrive . and Dean has that reaction I think some people would take it as he was mad at Jan.
Back to the humor...'nother example of it, as far as i can see. Today while reviewing JDman's wonderful Youtube of the last moving moments from the movie (again! 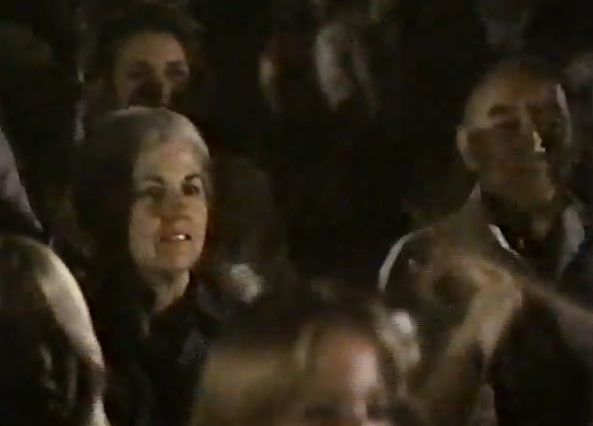 ), i realized there were other portions with Jan's mother and father visible. Since my earlier photo didn't share Jan's mom much at all...i couldn't resist sharing those now. And then....this unique frame was not planned when i first "saw" it....their loving faces right WITH the depiction of what they are witnessing.
" A unique shot of Jan's actual parents as they witness the depiction of their son's hopes beginning to be fulfilled. (This is the way the film transitioned from one frame to the next.) Thank God, it was also TRULY happening in real life!!! Though the movie takes viewers only into about 1973...the performance portrayed in this scene is actually a combination of a lip sinking event of 1973 ALONG with live singing they delivered in local California venues a few years later. : ) "
To JD Man...What i wrote in the reply immediately before this one, in the PS, was my attempt to capture what you point out in your reply of July 17th which i quote now. ..... I'd like to say that the last scene actually held some truth to it, but not on purpose. 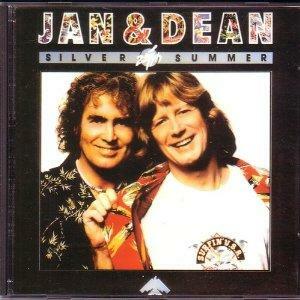 Jan & Dean really did lip sync at this event. A couple of years later, Jan really did try to sing live at a different show. From what I've heard, he received a standing ovation. So if you combine the 2 events, the scene was more truthful. My father cried when watching the movie with me. 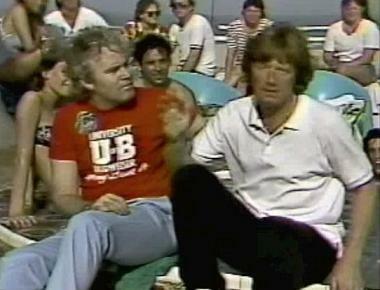 Later on we both watched Jan & Dean sing Barbara Ann with the Beach Boys on national TV. My dad cried again and said that Jan is one couragous man!! How poignantly the transitioning frame combines reality and drama....which worked together to convey what was happening for Jan & Dean into 1978. Sounds good Mary. Thanks for using my idea. I love that picture!! I too, was in tears at this point in the movie & still puts a lump in my throat every time I see it. Richard Hatch & Bruce Davidson did such an excellent job capturing the spirit & "Heart & Soul"...so to speak of the Real Jan & Dean. Just some of the facial expressions of these actors is almost tear-jerking. Thanks, JDMan .... Loved using your idea....very much..it's perfect. AND....your words, Joe...PERFECT. Thanks for putting so well. (He wrote by the picture) : " John and Jan discover Dean really IS an alien!....then by the next picture: Oh....it's just Dean's new (temporary) earring. First the Blue Fox, now the ear spiral! What a trendsetter!"